It’s always fun to welcome friends to the show! This week that friend is Marc Champagne, the co-found of Kyo, an online journaling and daily gratitude app. I’ve discovered Kyo (and Marc!) through a friend of a friend and immediately upon meeting – digitally first and then in person – I knew he would be a source of inspiration for me now and into the future. 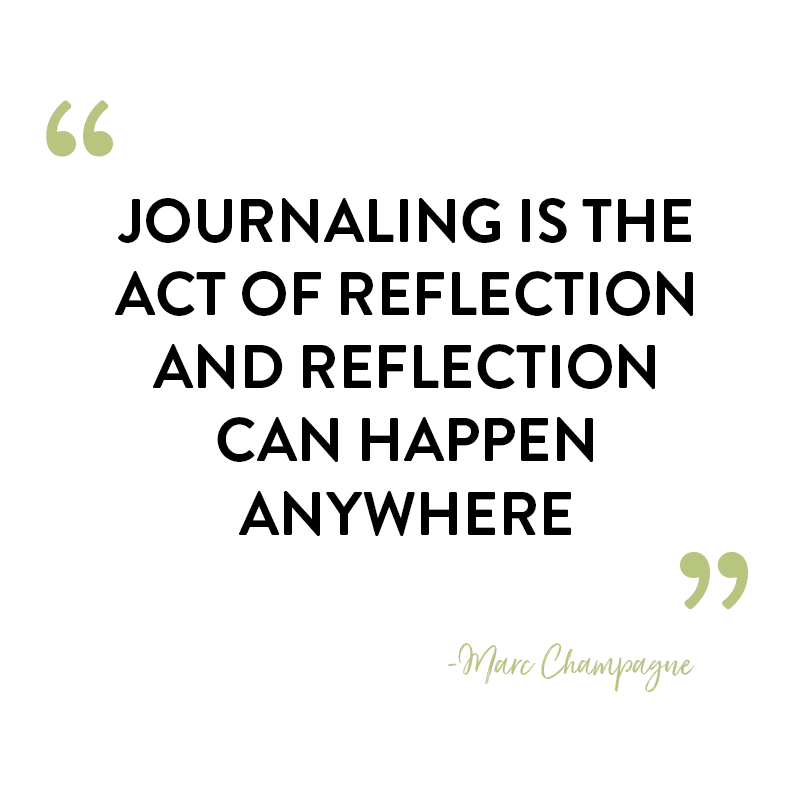 I am obviously a huge fan of journaling, both on paper and digitally. In many ways I consider THM to be a journal. Of course it’s a journal that’s read by hundreds of thousands of you, but I do put my thoughts to keyboard and oftentimes feel the same sense of catharsis that I do when I’m writing privately. But sometimes I don’t want to or it doesn’t feel appropriate to pull out my journal. Though I do travel with it to most places, I love that Kyo allows me to write down thoughts or do more targeted daily affirmations and intentions when I’m on the run. On the bus, in an uber, on a plane. Places where many of us find ourselves. He’s making journaling accessible and that’s one of the many reasons I’m excited to welcome him to the show. Why an app and what was their vision with it? What questions do you have for Marc? Do you journal? Don’t forget to sign-up for Kyo here! The post Episode #51: Marc Champagne appeared first on The Healthy Maven. In this video, from the Abdominal Ultrasound Essentials course, Dr. Nikolaus Mayr discusses the basic principles of ultrasound of the spleen in trauma including subcapsular haematoma, focal intraparenchymal haematoma, splenic lacerations, splenic rupture and active bleeding. Guest post: Nikolaus Mayr, MD. Chief Resident of Radiology, Department of Radiology, and Nuclear Medicine at the Hospital of the Brothers of St. John of God in Salzburg. She is concerned because one of the Facebook comments suggested she may have rabies! A quick Google search suggested 60,000 people a year DIE from rabies. Should she be worried? Should you be worried? Q1. What other questions should you ask in regards to an animal bite to evaluate her risk of contracting rabies? Was there a bite or a lick to a mucous membrane or open wound (therefore a chance of transmission)? Can the animal be observed or tested? Usually by 15 days a diseased animal will die, it will most certainly be unwell. This either gives us a clue to potential disease or if the brain tissue is tested for a confirmed diagnosis. Has the patient been vaccinated previously? No one has died from rabies who has had the full vaccine course prior and received post-exposure immunisations within 24 hours. Q2. Which animals transmit rabies? The natural cycle starts with insectivorous bats (up to 8% of some populations are seropositive), this then filters down to wild mammals such as skunks, raccoons, foxes, that get bitten and finally to domestic animals (cats and dogs). The virus on reaching the brain of an infected animal spreads to the peripheral nerves to reach the skin, the lacrimal and salivary glands. Hence these fluids are highly contagious. There has also been rare cases of transmission through a corneal transplant or other solid organ transplants when the cause of death was not diagnosed as rabies. Q3. Which countries have rabies? Although, technically the WHO reported the following countries for data on dog related rabies infection (shown below). This excludes the bat transmitted rabies seen in Europe, North America and Australia that can manifest with a similar clinical course and cause fatalities. Not to mention a disease that is likely to be seriously under reported due to diagnostic limitations. So, unfortunately wherever you are in the world there is a potential risk, except maybe Antartica. Q4. So if we hypothesise that the monkey has rabies, how long before our patient develops clinical signs? More proximal wounds for example, on the neck can take 4 days and there have been reports of people manifesting rabies 19 years after a bite. However, 93% of patients will manifest the disease within 1 year if not treated. Once inoculated the virus travels centripetally along the peripheral nerves to reach the spinal cord and eventually the brain. Q5. What are the possible complications of this condition? This is a vaccine preventable disease but once clinical signs develop without prior vaccine exposure, death is inevitable. Q6. Didn’t someone survive Rabies in Wisconsin? Yes, although the exact reason behind this is not clear. Jeanna Giese was bitten by a bat and never had any prior vaccination. It is possible she had some prior exposure. If we know that not all bats die, it is possible that not all humans die if given a minimal exposure and she therefore already had some rabies antibodies. It is also possible that because this was a bat bite instead of a dog her survival was increased. Ribavirin was originally given but then later changed because of its immunosuppressive effects. Vasospasm and clinical exacerbations are regularly encountered on days 6-8 and 13-15 of first hospitalization. Nimodipine is recommended at half to full dose for prophylaxis against vasospasm. Sapropterin (5 mg/kg/day enterally) and L-arginine (0.5 gm./kg/day IV or enterally) are preferred over nimodipine when available. Repeated attempts at the Milwaukee protocol have failed and are no longer recommended. Q7. What are the clinical signs of rabies? Pain, paraesthesia or pruritis in the bitten area (30-80% 0f cases). Often reported as intense itching at a previous bite site. The disease then either develops into a Furious (brain) rabies or a Paralytic/dumb (spine) rabies. Both result in death. Often patients can be well in-between their spasms and the slightest stimulation can provoke an attack. Q8. How do you diagnose rabies? Most cases are clinical for a history of dog bite and the above clinical findings. Immunofluorescence of viral antigen in the base of hair roots from a skin biopsy (typically in the nape of the neck). Isolation of bodily fluids during the first week of CSF and saliva for culture may work but as the patient develops antibodies the sensitivity is reduced. Although tests are being developed for viral RNA amplification but are not currently available. Need to repeat testing daily until the diagnosis is confirmed. Post-mortum from brain biopsy (this should only be performed if absolutely necessary due to the risks of further transmission). Immunofluorescence, tissue culture, PCR and histology can be used. Histology is rarely used but classically the neurones show Negri inclusion bodies. Q9. How do you manage a suspected case of rabies? Supportive care. Rabies is inevitably fatal once any clinical signs are present and patients suffer if not heavily sedated. Experimental treatments have been tried in the past and only ever had a handful of successful cases with the bat lyssavirus. We do not know if this is treatment success or vaccine failure. Risk has also been categorised as low in those animals that are healthy and can be observed versus high risk in those that are wild, unwell or can not be observed. 1 Intradermal schedule (only uses 0.1ml of the 1ml vial, therefore cheaper and can be used in busy clinics or family immunisations to reduce cost). Only proven efficacious with PVRV (Verorab) and PCECV (Rabipur). The vaccine must raise a wheal under the skin or a repeat dose is needed. Administer half the dose into the wound. If the wound is too big then dilute the RIG with saline. The other half of the dose should be administered at an alternative site IM. If RIG is not available it should be sourced within 7 days are starting the vaccinations. Schedule 2: A “4 site” intradermal consisting of 4 injections of 0.1ml over the left and right deltoids, thigh or supra scapular area in a single visit. See page on how to administer RIG and Vaccines for further details and discussions on special populations. Q10. I’m travelling to India too, what is the pre-exposure prophylaxis regimen recommended by WHO? Q11. What public health measures are required to prevent this disease? Those who are travelling to endemic areas, work with wild animals such as vets or people who hug bats. Health care professionals looking after patients with or suspected rabies should be vaccinated. Even those people who like exploring caves should be vaccinated due to reported cases of aerosolised transmission in caves. The most successful public health measure is vaccinating dogs. Once herd immunity in the canine population reaches 70% the rabies cycle can be broken. Unvaccinated dogs in some areas are caught and destroyed. Welcome to the 320th LITFL Review! Your regular and reliable source for the highest highlights, sneakiest sneak peeks and loudest shout-outs from the webbed world of emergency medicine and critical care. Each week the LITFL team casts the spotlight on the blogosphere’s best and brightest and deliver a bite-sized chunk of FOAM. How’s that for a dramatic title? Enough years in the blogging space and you’ll learn the very definition of “click-bait” but truthfully, I do want to answer the question “Is Blogging Dead?” since I’ve been hearing it so often lately. 5 years ago today (well actually 2 days ago but I don’t post on Saturdays, so close enough!) I started a little blog called The Healthy Maven. I sat down at the desk in my bedroom in my parents basement and after months of trying to get the perfect name, perfect theme, perfect logo I hit “publish” on my first post. From there I’d begin a love affair with this space that would grow from a deep passion project to my career. Many of you would join me as I celebrated my 100th post, quit my full-time job, moved across the country and got engaged. I’d talk about my struggles with body image, exercise addiction and how I’m finding balance in my work and personal life. It’s been a whirlwind to say the least but what I know for certain is that hitting publish was single-handedly the best decision I made for my life. So when I get asked the question “is blogging dead?”, you better bet I’m giving it a lot of thought! To be fair, this is usually coming from my non-blogger friends though I have heard it happen in blogger groups too. There are certainly a lot of takes on the argument, but today I’ll be giving you mine. Yes and no. Blogging what it was 5 years ago is dead. It’s no longer about just posting your weekend recap and daily escapades. Those things are fun and still valuable but it’s increasingly hard to sustain your passion AND business with this model. Not because people aren’t interested (trust me- our creepy need to stalk other people’s lives isn’t going anywhere!) but because there are other platforms to do that. If you still love doing that, do it – but it will be challenging if you decide to turn this passion into a business. But from a personal standpoint, if you just want to share your creative passion with the world, please please do it! Now let’s discuss it from a business perspective. If you want to turn your passion into a career, it can’t just be about what makes you happy (though that matters a fair deal! ), it also matters what makes other people happy and brings value to their lives. 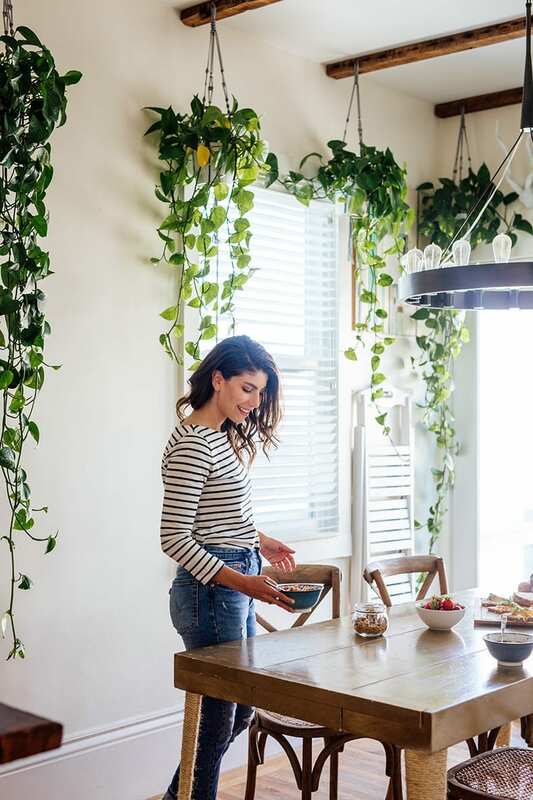 When it comes to creating valuable long-form content: things like recipes, nutrition information, DIYs, self-care tips and well beyond the scope of the wellness space, this stuff is becoming increasingly important. The barrier to entry these days is that there’s a baseline level of quality that needs to be met before you can gain any kind of community. This is a good thing. This weeds out people who are simply producing content for views but don’t do their research or have poorly tested recipes. Bad blogging is dead…hopefully! From my personal perspective, I haven’t seen huge number drops or anything like that. I’ve seen my audience diversify in how they take in their media. Some prefer video, others prefer podcasts and some people, like you, read the blog. Does this mean blogging is dead? Definitely not. It just means you need to be aware that people use different platforms to take in their information…because there are so many different platforms out there! Blogging isn’t going anywhere – people are just picking and choosing their preferred mediums to take in media and I think this is a good thing! SHOULD I STILL START A BLOG? Oh my god yes. YES YES YES. I can’t even tell you how many people have asked me if it’s still worth starting a blog. When I started THM I didn’t in a million years think it would ever make money, let alone become my career. In many ways I think that’s why it was successful. I had zero expectations of it having any success. I truly believe that because I wasn’t grasping for something and instead found joy in each moment of the process it manifested into a career. This is what is so hard for new bloggers now – there’s just so much comparison of where you are to where you want to be. Blogging has taught me so many life skills, professional skills and become my creative outlet. It’s also connected me to the most incredible people around the world. If your sole goal is to make money or gain ‘followers’, I’m sure you could do it, but truthfully you need a level of passion and commitment to blogging even when you feel like no one is reading and you definitely aren’t making any money…because you won’t….for a long time. So should you still start a blog? Yes! But do it for you. Allow yourself to explore and learn the ropes. Don’t expect you can do everything off the bat or that you need a perfectly designed website before you can share. It took me 4 years to get the web design of my dreams! Be patient, work hard and love what you do. CAN’T I JUST USE SOCIAL MEDIA? Sure, why not! I’m not here to tell you what you can and cannot do. But if I had to be honest with you, I would say that social media should be second in command to your blog. One of the benefits of being a blogger before social media got as big as it is (Instagram especially) is that I learned how to build long-form content that is valuable to my readers (all of you). I learned not only how to use this place as my own personal form of therapy, but also how to provide useful tips, tricks, recipes and DIYs that could help you guys lead a healthier lifestyle. Social media was simply a marketing tool to get the word out. As more and more people start Instagram accounts, I sadly watch as they complain about the algorithm and beg people to turn on notifications. Sure, I’d love for the stupid algorithms to be gone, but my business and my passion doesn’t live in those places. I need marketing to promote my content, but I’ve spent years building up valuable posts that can be found without social media at all. SEO, email lists, those things are SO important and have a shelf-life that lasts longer than a single Instagram image. Any blogger will say the same. So does that mean you should ignore social media? No way. But really figure out what your priorities are. Do you want to share random snippets of your life to inspire people? Instagram might be your jam. Do you want to give long-form nutrition tips or recipes? Blog your heart out. Different goals require different means. Figure out what yours are and then determine how you should be spending your time. I asked you guys on Instagram (a great use of social media!) to share some questions you have about blogging. I thought I’d tackle them here today. The #1 question I got and I won’t be answering it here! Some of you may remember that a couple of years ago Lee and I started The Blogger Project to help answer beginner blogger questions like “how do I start a blog?”, “how do I pick a theme?” etc… so head over there and start here if you’re just beginning. How do you set yourself apart in an increasingly saturated market? BE YOURSELF. I know it’s so cliche, but trust me you will attract the tribe you’re meant to attract if you present yourself exactly as you are. Don’t second guess everything or constantly be trying to emulate someone else. Don’t compare. The world is big enough for all of its abundance and that includes your blog and the blogger behind it. The biggest lesson I’ve learned is that people just want to connect with people. So be that person to someone. And eventually that someone will be a lot of people. Yes and no. For your first year of blogging, I’d be open to exploring a lot of different topics. You don’t want to corner yourself into an idea where 6 months later you hate it and give up blogging entirely. Sometimes it’s the topic that’s challenging and not blogging itself. Give yourself permission to explore and find what you’re passionate about. That being said, from a business perspective it’s helpful to be known for something. 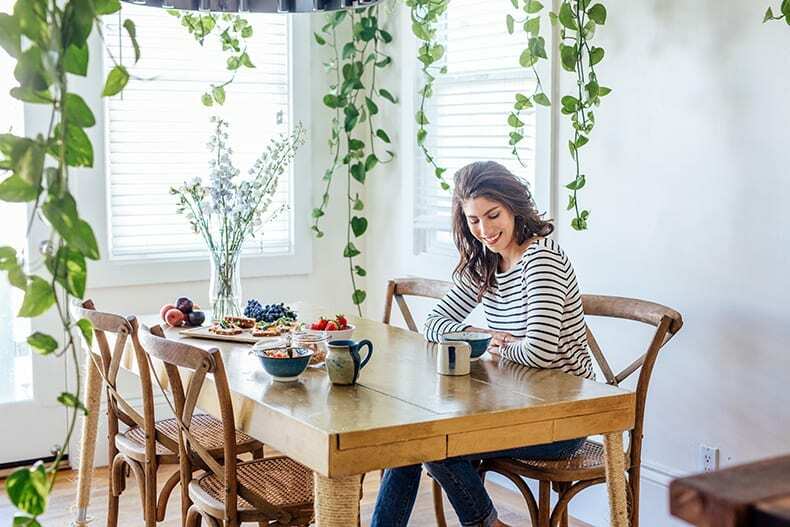 I became known as a food blogger, which helped get my business off the ground but didn’t necessarily attract the audience I really wanted – i.e. the people who care about healthy food and all other aspects of health as well! What I didn’t realize was that health and wellness is a niche in and of itself. Don’t feel like your niche has to be super narrow. I just wouldn’t necessarily start a blog that is about cat bonnet knitting and dehydrated foods. It’s a little too all over the place! GO OUT AND LIVE! I always tell people “I blog about my life but I don’t live for the blog”. THM is a big piece of my life, but it isn’t everything. It took me a while to get there but I now see so much value in not working. It gives me space to breathe, allows for fresh ideas to flow and brings inspiration to my blog simply from living in the world around me. Also, go with the flow. If you’re working on something that isn’t inspiring you, switch to something else. I used to do a ton of seasonal/holiday recipes but I realized that what inspires me most is the everyday, easy-to-make recipes that don’t require strange ingredients. It’s fun to get creative but sometimes simple is best. How do I transition from a hobby to a business? This is a loaded question but my first piece of advice is that “no one will tell you that you’ve officially become a business”. If you want to run a business, run a business. It’s as simple as flipping that switch in your mind. You’re as legitimate as you believe you are so don’t seek others permission for your success. Beyond this, make sure you understand your value. Even if you don’t have huge numbers, perhaps your strong suit is photography or you’re an expert in a certain area and you consult. Think outside the box when it comes to your business. How do you gain readership, followers and viewers? If I had a dollar for every skype chat/consulting sessions/DM I received about this topic I would be rich. Truthfully, I don’t think there’s a secret sauce. The blogging industry and everything that goes with it is changing constantly and with that you need to have a deep understanding of the needs of your audience, no matter what size it is. My main message to you is to focus less on how many but who they are. How can you best serve them? What kind of community are you building? More numbers doesn’t mean more business. Most of my brand work comes in before they’ve even seen my numbers. What is visible to them is how much I care about my audience and ensuring they receive valuable and helpful information. Focus less on the pretty picture and more on what your message is. Be honest with that message and let people connect with you. Do I need to do video? What about podcasting? I think this is up to you! When I first started out you were a blogger or a youtuber or maybe a podcaster. You weren’t all three! These days, the game is different and there’s obvious advantages to tapping into each. That being said, what resonates most with you? If you’re not comfortable in front of the camera, try “tasty-style” videos. If you don’t have the time to produce video, focus on blogging. If photography is not your thing, try podcasting! I don’t think you need to do everything and especially if it means sacrificing quality. Focus on what you love and what you WANT to learn more about. Not what you feel you HAVE to learn more about. Lastly, thank you to EVERY.SINGLE.ONE.OF.YOU who has come along for this journey this past 5 years. I’m eternally grateful for your support and I hope I’ve done you proud in the privilege you’ve given me to have this platform. Whether my business disappeared tomorrow, I know I’d still keep doing it because I absolutely love it. The past 5 years have blown by because of this passion and my only wish is that all of you have found or will find something that you care this much about. So much love to you all! Did I miss any of your questions? Do you think blogging is dead? The post Is Blogging Dead? And A Few Other Nuggets of Wisdom For New Bloggers appeared first on The Healthy Maven. Just when you thought your brain could unwind on a Friday, you realise that it would rather be challenged with some good old fashioned medical trivia FFFF…introducing Funtabulously Frivolous Friday Five 227. In 1979 a study was conducted at a tea plantation in Sri Lanka, what was given to the tea pickers to increase their productivity? 199 subjects were either given placebo (calcium lactate) or 200 mg of ferrous sulphate for one month. Doctor Duncan is a pub in Liverpool, but who is doctor Duncan? The number of Medical Officers of Health grew exponentially in the Victorian era (now amalgamated into the Royal Institute of Public Health and Hygiene after numerous reforms). Responsibilities of MOHs focused mainly on areas of water supply, sewerage, street lighting and paving, new buildings and housing, nuisance removal, food inspection, infectious diseases, fever hospitals, sanitary burial, regulation of markets, offensive trades and slaughterhouses. How effective is prayer if you are the monarch? Francis Galton published a satirical review of prayer including a table from Dr Guy’s memoir in the Journal of the Statistical Society (Vol. XXII p355) – unfortunately I am unable to track the original reference. What is the “King’s Evil”? Macduff. What’s the disease he means? Scrofula is cervical tuberculous lymphadenopathy. The term King’s Evil refers to the fact that it was firmly believed that scrofula could be cured simply by the touch of the reigning monarch. In this video, from the Abdominal Ultrasound Essentials course, Dr. Nikolaus Mayr discusses the basic principles of liver ultrasound including the differentiation of malignant pathologies such as hepatocellular carcinoma (HCC), cholangiocarcinoma and metastases. Welcome back to episode #50 of the podcast! Can’t believe there’s been 50 episodes. Honestly, it feels like there’s been so many more but 50 is big and feels monumental. I’m so proud of this little pod and the community we’ve built around it. Here’s to 50 and beyond! On today’s episode we have the incredible Latham Thomas of Mama Glow and the author of Own Your Glow on the show today. 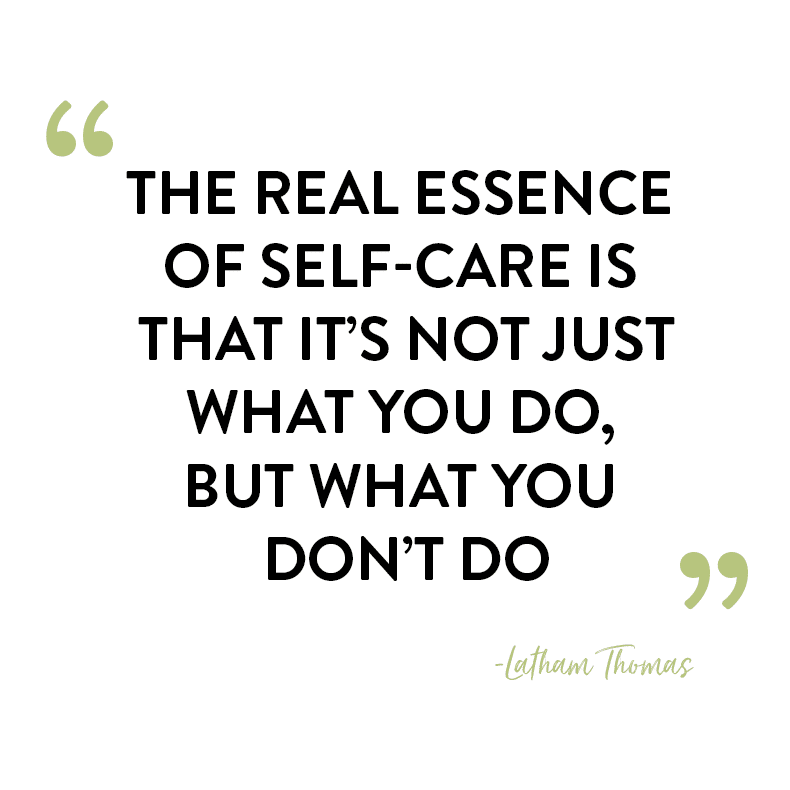 Latham is a pre and post-partum doula, maternal lifestyle maven and wellness coach. Beyond that, she’s just such an inspiring human helping women and men alike reframe the fertility and birth process ad well as helping non-pregnant women embrace their feminine instincts and glow. This episode was really interesting for me as I learned a lot about how I’ve mistakenly interpreted the birth process and where I could use some reframing. I also learned that when that day comes, I am 100% reaching out to Mama Glow! Don’t hold your breath Mom…it won’t be anytime soon! What questions do you have for Latham? Did you or have you considered hiring a doula for your birth? 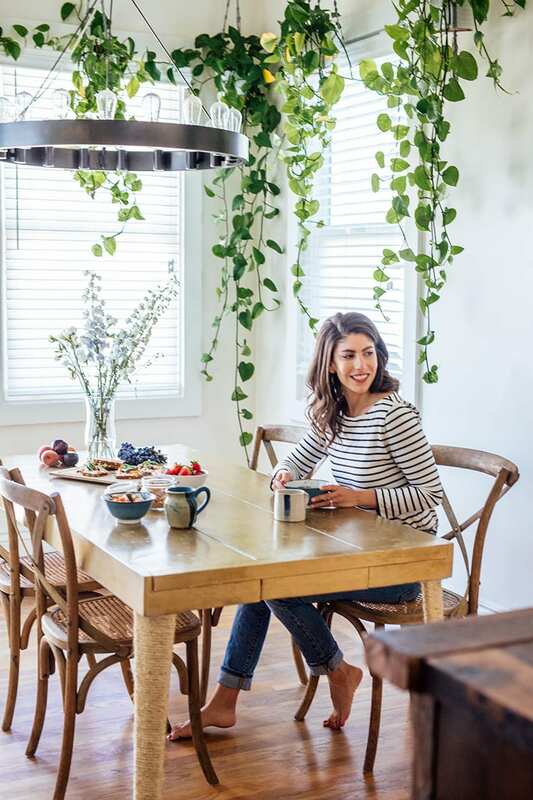 The post Episode #50: Latham Thomas from Mama Glow appeared first on The Healthy Maven. Describe and interpret the arterial blood gases. Outline your approach to this patient’s agitation. The patient is now sedated. His serum CK is 80,000 IU/L. He develops a broad complex bradycardia with a HR of 30bpm. His BP is 70 systolic.Describe your management. During the restraint, a security guard sustained a needlestick injury. Describe the management of the security guard.